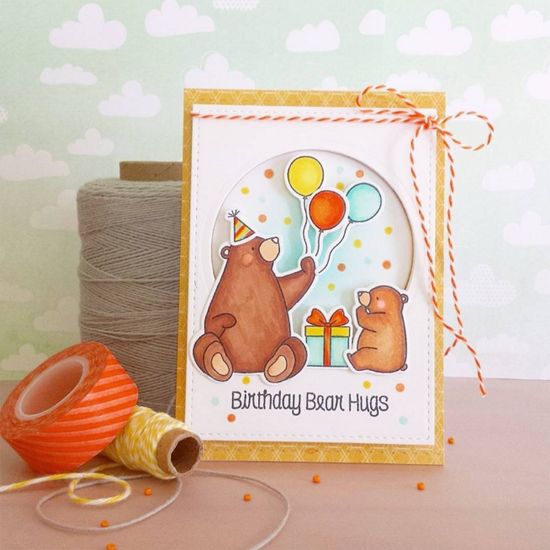 I spotted Eva's sweet card featuring our Birthday Bears stamp set on Instagram following #mftstamps. On her post, Eva exclaims, "[My Favorite Things], this is such a cute stamp set!!" We think your card is really cute, too! Challenge Team Member Jill Dewey Hawkins spotted Amy's perky design on her blog as an entry for Sketch 245. I love her pink and electric green color combination using the Polynesian Paradise stamp set. 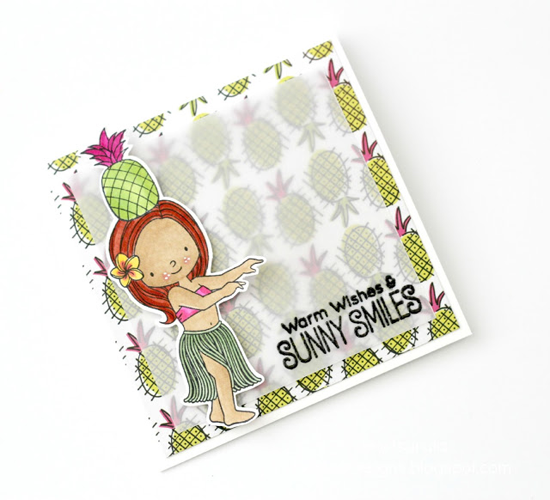 Jill says, "I love the pineapples and sweet little hula girl. She is balancing a pineapple!" Yep, pretty fun! 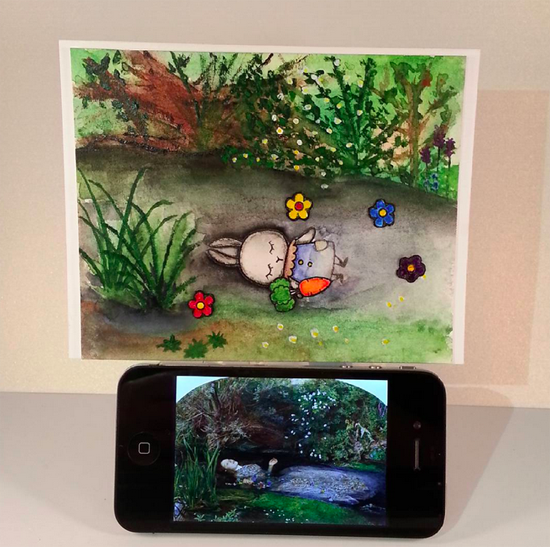 I spotted Maureen's three dimensional card as an entry for our Card Design Superstar contest. With our wide range of Die-namics, you can create some pretty spectacular designs, and this is no exception! 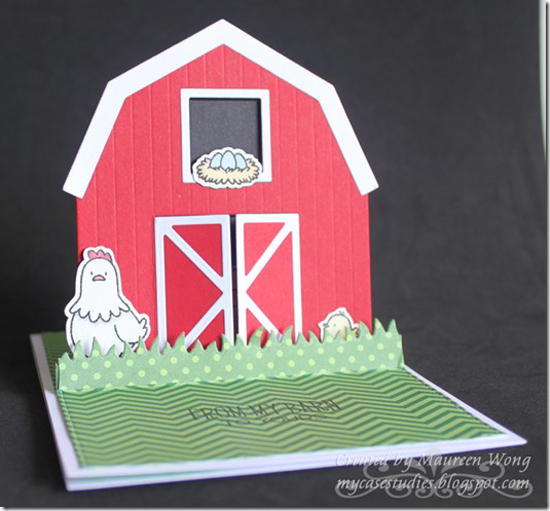 I love the way she paired our Barn Die-namics with some cute stamps from The Whole Herd stamp set. And the patterned paper grass is a perfect finishing touch! You can see how she created this card by watching the video on her blog post. Design Team Member Francine Vuillème spotted Christine's fun card on her blog. The sentiment für dich means for you in English. 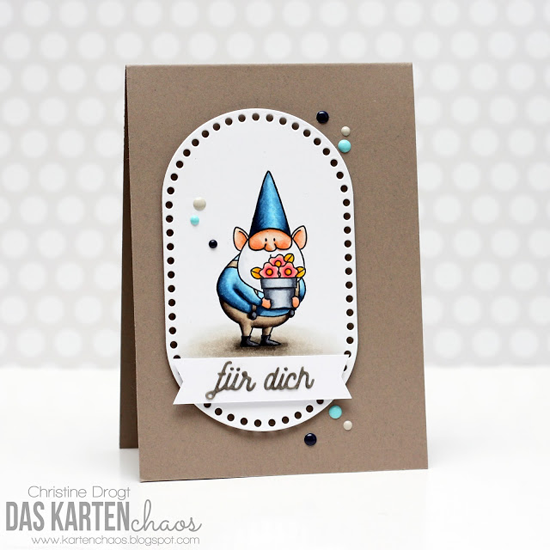 It fits perfectly with the gnome (from our You Gnome Me stamp set) offering a pretty pot of flowers. 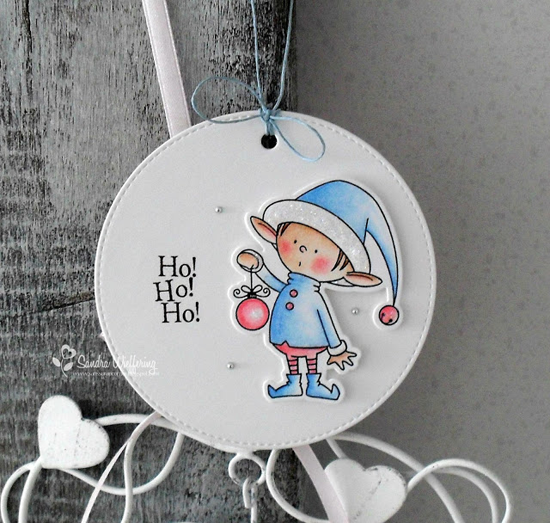 I love the festive little enamel dots! I spotted Оксана's card on Instagram following the #mftstamps hashtag. 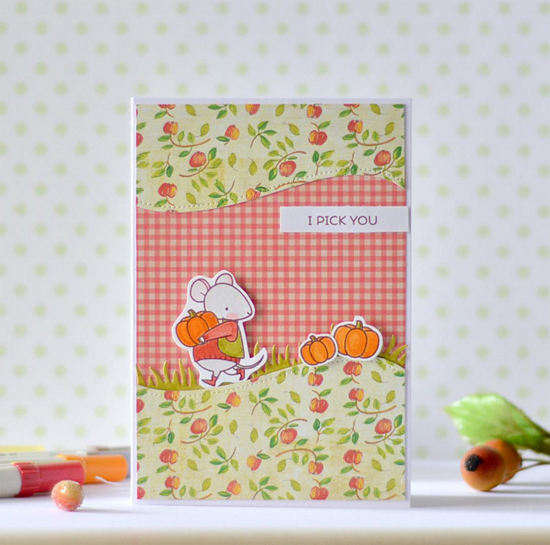 I love the warm fall colors she chose with the Harvest Mouse stamp set, and the hill that she created is just so sweet! Her post is in Russian, but I was able to translate this portion of what she said, "These mice... won the hearts of many scrap divas!" And your design has won our hearts, too! Thanks for using MFT, ladies! You've left us inspired, and that's what it's all about! See you tomorrow for the next Sketch Challenge, and look for a new MFT Color Challenge this Thursday, November 26th — Thanksgiving Day! These are all GREAT!!! Congrats on being spotted, everyone! Yay! Thanks for featuring my card - I really love how that one came out! And thanks for the other featured works - great inspiration!